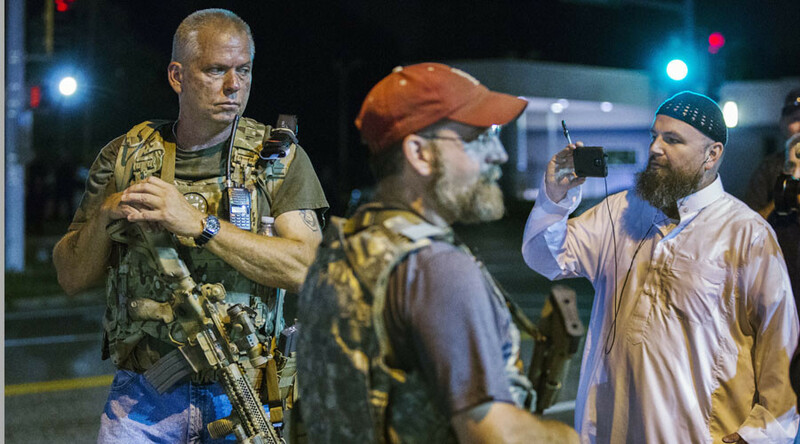 At least four members of the 'Oath Keepers' arrived in Ferguson on early Tuesday and began patrolling the West Florissant Avenue, walking through the crowds of protesters gathered there for a ‘day of civil disobedience’ following the anniversary of the killing of 18-year-old African-American Michael Brown, shot dead by white Police Officer Darren Wilson. The Oath Keepers are wearing military harness, bullet-proof vests and are armed with AR-15 assault rifles. Videos and pictures posted online show that the Oath Keepers spotted at the rally are all white. Allegedly, they have an agreement with police not to walk through the ranks of law enforcement, according to a Guardian reporter. They are also cited to "be on the protesters' side." The appearance of heavily-armed white men stirred unease on the part of the civil rights activists from the Black Lives Matter movement, heavily represented at Ferguson protests. “Why are there men with guns and the police are doing nothing?” prominent activist Kayla Reed demanded on Twitter. The American nonprofit organization Oath Keepers consists mainly of former and serving US military and law enforcement personnel, as well as members of other paramilitary services, who declare their aim as protecting the US Constitution even at the cost of disobedience to official orders, in case these orders violate fundamental American law. Expressing his disapproval at the government's handling of the situation in Ferguson, Oath Keepers volunteer Sam Andrews told RT: "Why the National Guard was not here supporting the St. Louis County Police and supporting the highway patrol and protecting these businesses, to me, is either such a grotesque incompetence or downright criminal negligence." “We are family people. And you know what? Nothing is going to change unless we stop electing politician lawyers to officers,” Andrews said, as quoted by Ruptly. “You elect Donald Trump, you put Donald Trump in office, he’ll change it all, he’ll get rid of these clowns he’ll get rid of these people that violate our rights and we’ll have somebody that actually cares about Americans again,” Andrews said, expressing his support for the Republican presidential candidate. 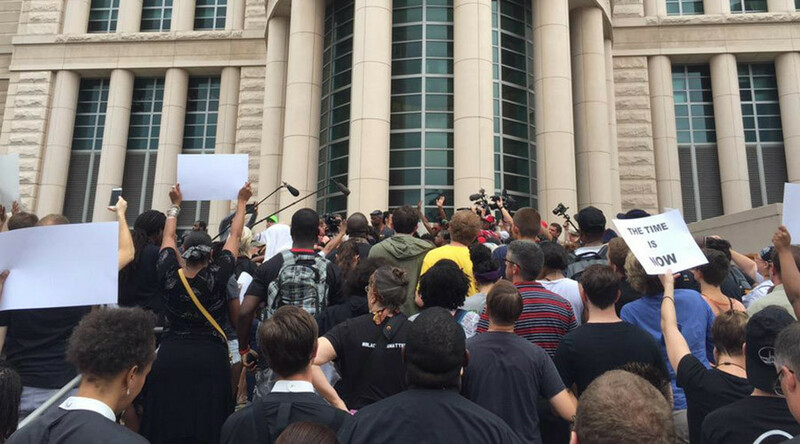 A year ago, during the first round of protests, they also patrolled Ferguson. The Oath Keepers were also present in November 2014, when more protests erupted in the St. Louis, Missouri, neighborhood. “Private business people that cannot afford security have asked the volunteers to help protect their businesses. The people in Ferguson have learnt a sad and difficult lesson, that there are not enough police and National Guards to protect all the homes and all the businesses,” a man in military fatigues told Sky News. But Andrews said it's not just about defending businesses. "We have people living in apartments above these businesses...so arson is a lethal threat," he told RT. 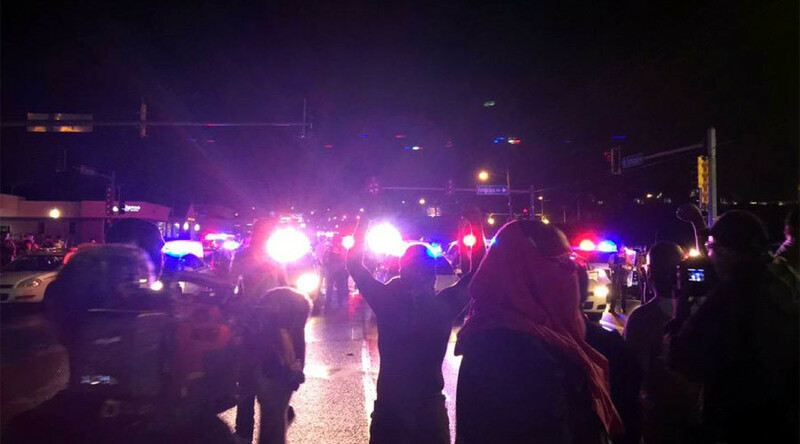 The anniversary of Michael Brown’s death turned very violent on Sunday evening, when tensions escalated after a fierce shootout took place close to the rally, with about 20 shots fired in a short period of time. 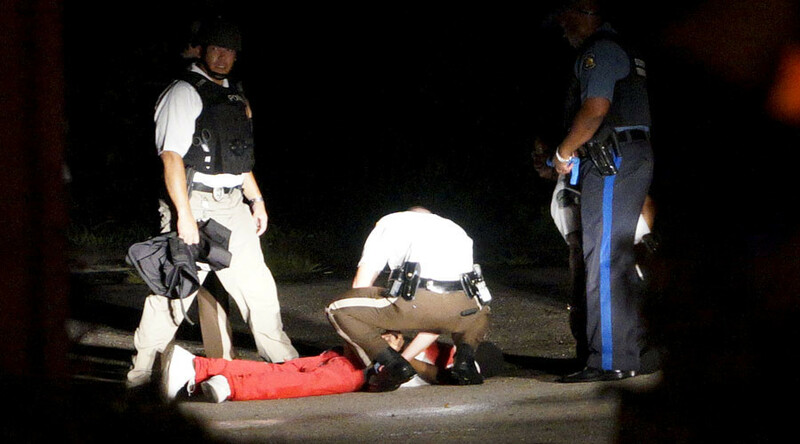 As a result an 18-year-old Tyrone Harris Jr., allegedly a friend of Brown, was shot by police. Another person was wounded. 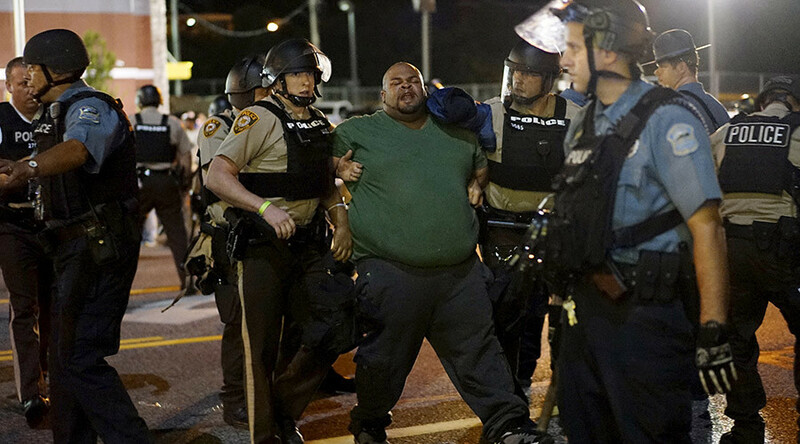 The tensions in Ferguson have significantly reduced since then, after police arrested at least a dozen people the previous day for throwing bottles and other items at police officers. As of early Tuesday morning, only about 150 protesters could be seen along several blocks, with police presence also diminished. On Monday arrests were much more numerous, with about 120 people being detained on Interstate 70 while trying to block traffic. Harris has been charged with four counts of assault on law enforcement in the first degree, five counts of armed criminal action and one count of discharging or shooting a firearm at a motor vehicle. He is currently being held on a $250,000 cash-only bond, the International Business Times reports.